Customers are welcome to reserve our trucks in advance. We provide a variety of vehicle and trailer sizes to accommodate your unique moving needs. 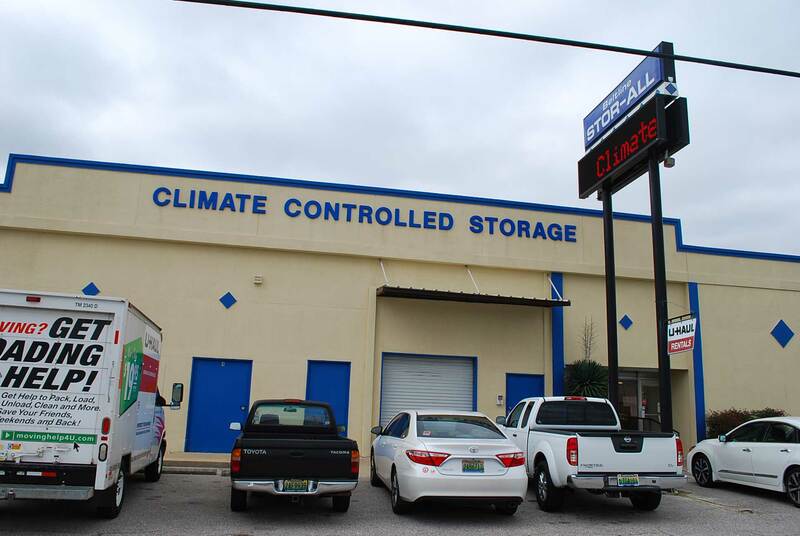 Our trucks range from flatbed pickups to 26’ moving vehicles that can house enough items to fill four bedrooms. All U-Haul trucks are designed specifically for moving and engineered to get the loading deck close to the ground. 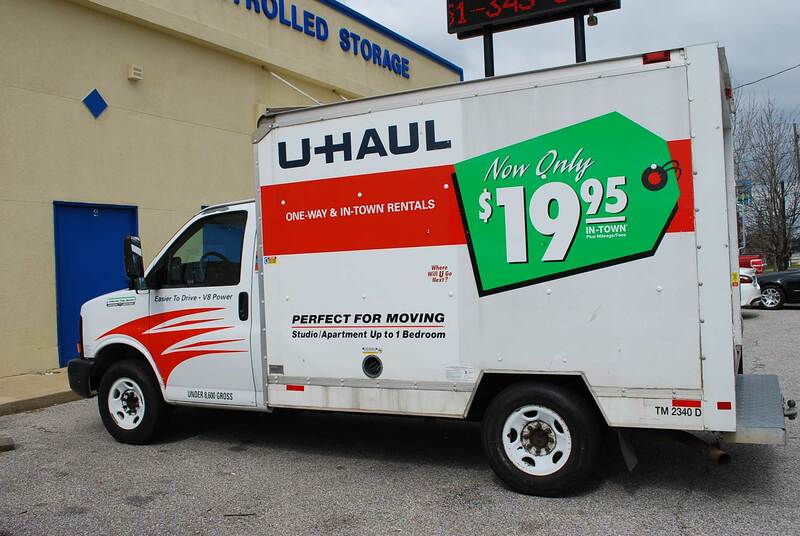 With more than 20,000 U-Haul locations, our truck rentals are often used for a one-way move, because we’re dedicated to helping you save your time and money by avoiding unnecessary trips. 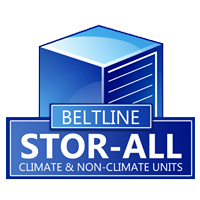 In addition to trucks, Stor-All partners with U-Haul to offer utility, cargo, and towing trailers as well as associated supplies. Utility trailers are flat-bed, open-air and most commonly used to transport equipment for recreational or commercial purposes. Cargo trailers are used to transport additional belongings that could not be stored in a larger vehicle, and towing trailers are used to transport vehicles. We also sell trailer hitches, balls and mounts, wiring, lights and more at our store to accommodate any additional needs. Call and ask our associates for prices and availability. Stor-All insists on providing the best experience for all customers. Sometimes, we encounter unforeseen events like dangerous weather or drivers. We encourage all rental customers to purchase Safetow® insurance for damage that may not be covered by car insurance or credit cards. Purchasing protection is optional, and may cover up to $20,000 in damages to vehicles and property that is being towed. Not only is rental coverage available but so is collision, medical-life, and towed property insurance coverage. The average driver will experience three to four accidents in their lifetime. Be safe and prepared. You may be an experienced driver, but attaching a trailer or driving an exceptionally large vehicle may be a new and intimidating experience especially if you’re driving cross country. Stay safe with good driving practices. A large truck and trailer will accelerate more slowly and take longer to slow down. Gradually reduce speed, and keep the steering wheel stable to reduce sway. Cruising above certain speed limits will increase sway and make it more difficult to control your vehicle. When possible, avoid potholes or any irregular pathways. Ask our associates about recommended trailer sizes. 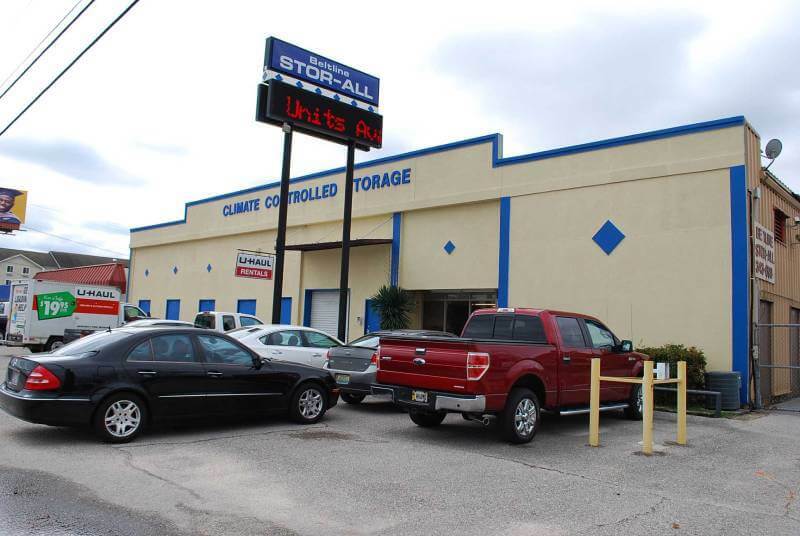 Call Stor-All today for pricing, availability, and professional recommendations for U-Haul rentals.